Africa, adopting local popular visual strategies as a way to engage with the politics of the history of oppression in Southern Africa that continues today. 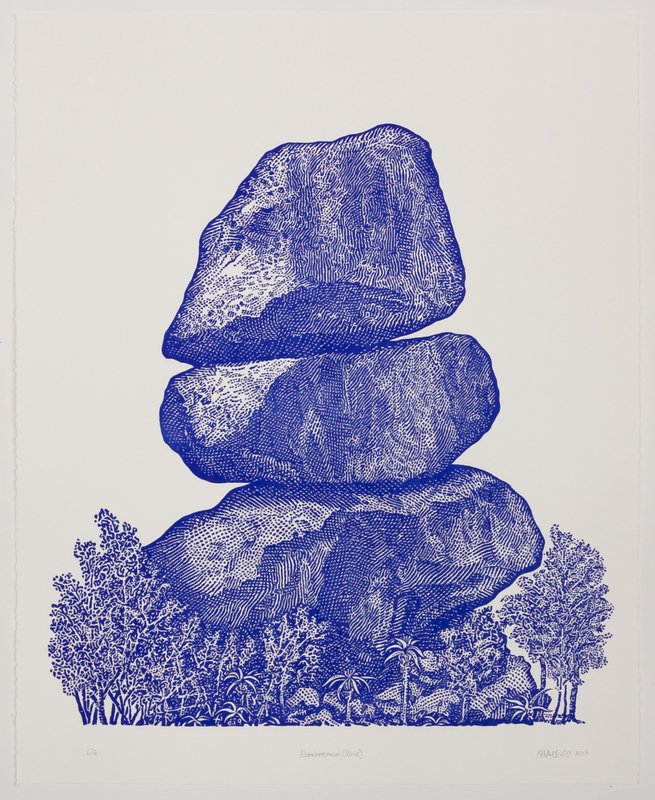 Halter’s work often exploits the notions of craft and curio within a conceptual fine art context. Dan Halter was born in Zimbabwe in 1977. In addition to five solo exhibitions Halter has participated in numerous group shows including US at the South African National Gallery, curated by Simon Njami, Zeitgenössiche Fotokunst aus Südafrika at the Neuer Berliner Kunstverein (NBK), 2009 Havana Biennale and Earth Matters at the Smithsonian National Museum of African Art in Washington DC. 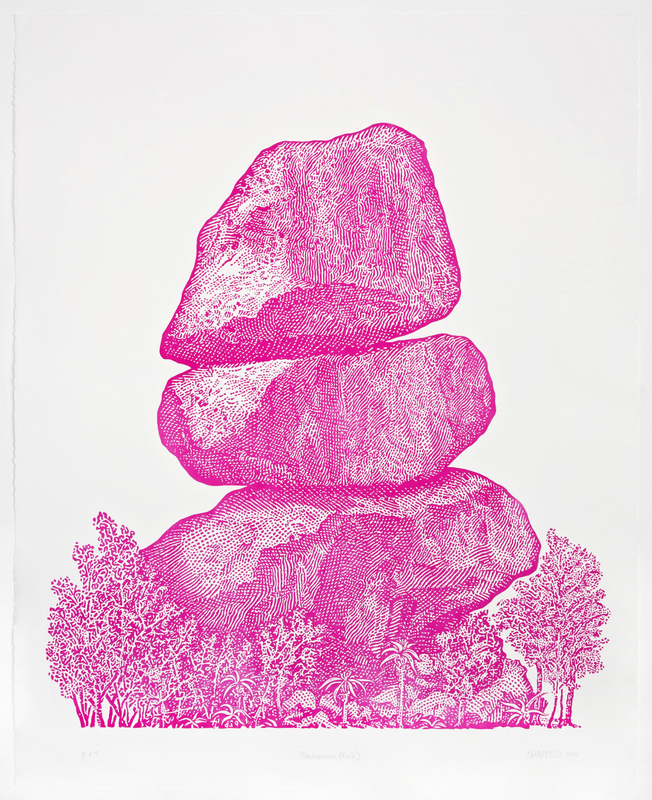 He has completed four international residencies, in Zürich, Rio de Janeiro, Scotland and Turin. Recent exhibitions include the 7th Triennial of Contemporary Textile Arts of Tournai, Belgium and Dan Halter / Mappa Del Mondo at the Nassauischer Kunstverein in Wiesbaden Germany. Halter’s also work appears in the a number of collections including, The South African National Gallery, UNISA (University of South Africa), University of Cape Town, Scheryn Collection, Artphilein Collection, Pigozzi Collection, SAFFCA Collection, Round About Collection, and the prestigious Rennie Collection. 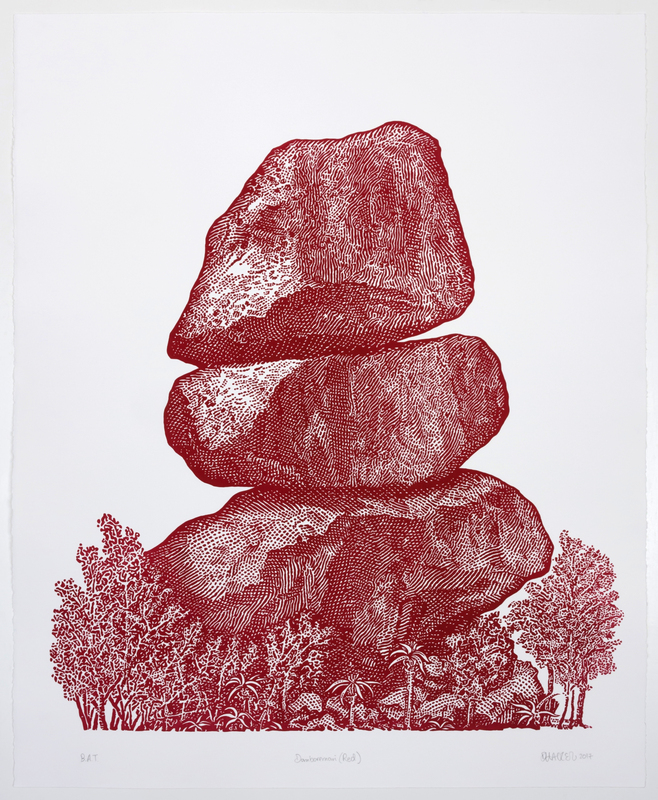 Dan Halter lives and works in Cape Town, South Africa. 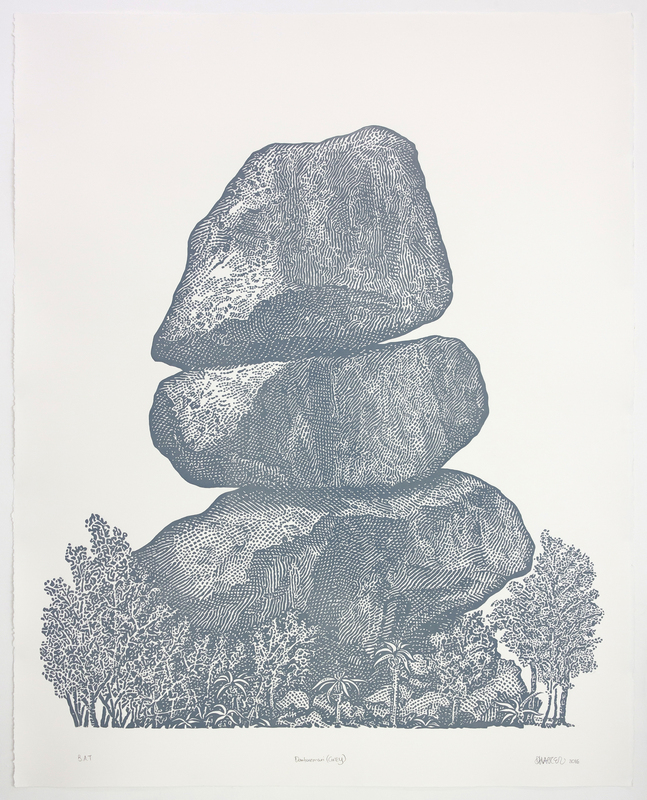 Dan Halter’s large linocut series, Domboremari, is based on an engraving of the balancing rocks found in the southeast of Harare, off the Chiremba Road, which achieved fame as a prominent feature on most Zimbabwean banknotes. Four different sets of this currency were issued, owing to the hyperinflation in Zimbabwe resulting in the need to re-denominate the currency, and the notes were printed in numerous colours. Use of the Zimbabwean dollar as an official currency was effectively abandoned in 2009. Since then, a variety of currency is accepted there, although most transactions are conducted with US dollars. Recently, the circulation of US dollars has begun to dwindle. As a result, the Reserve Bank of Zimbabwe has reintroduced local bond notes. This idea has been very controversial in light of what happened to the previous legal tender, which peaked in 2008 and left every citizen a poor billionaire. At the height of inflation, one US dollar could fetch 300 trillion Zimbabwean dollars on the black market. The largest banknote was Z$100 trillion. These banknotes are now available to purchase as collector’s objects at tourist hubs such as Green Market Square in Cape Town, or online from Banknote World, Great American Coin Company, One Hundred Trillions and Google. Halter carved his image in linoleum flooring over a period of a month. Warren Editions has published a total of six editions each in a particular colour – referencing colours used on the bank notes. The title, Domboremari, is Shona and means ‘the money rocks’.